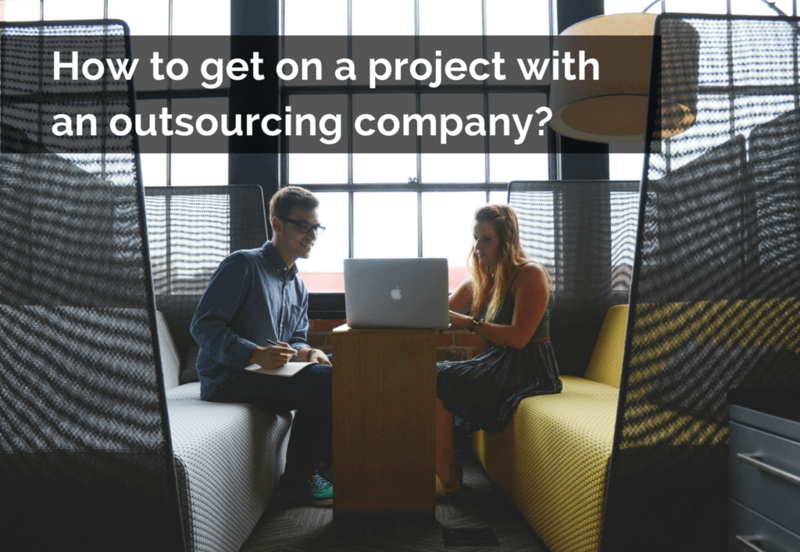 How to get on a project with an outsourcing company? Since you’ve chosen the outsourcing company that you want to work with on your project, remember that it is very important to state clearly what needs to be done. The company that you work with will be following your brief – make sure it is prepared properly. Remember that it is your product and that you are the one who is mainly responsible for its final shape. Work on your Service Level Agreement and set your requirements, the time of meetings, reports or SCRUM sprints – it’s particularly important when you work with a company from a different continent. TIP: Try to set the hours that will not require anyone to work in their spare time. Doing it at the beginning will provide you with a clear plan that will help to avoid interfering with other important business meetings. Appoint one person to be responsible for the contact. It will help you avoid the situation when some important issues vanish because someone did not pass the information to the right person. Do not forget to specifically set the way of communication and the reaction time in case of any problems that may appear on the way. If you are attached to the procedures that you use in your company, you find them simple and effective, don’t hesitate to demand them from the contractor. Set KPI (Key Performance Indicators) at the very beginning and use them when evaluating the stage of realization of specific works made by your contractor. This will guarantee a high level of provided services. A good – and very important! – example of a KPI to measure is the burn rate, which is the rate of negative cash flow. Remember that the KPI may change over time: itemize them assigning with the specific time range (week, month, quarter etc.). A frequent issue that may cause some problems at some point of outsourcing software production is making changes to the contract. In the beginning, you put much effort to set the initial parameters but it is very common to forget to set the mechanisms for making changes. Defining the RFC (Request for Change) procedure will make the work of both sides much easier! One of the crucial risk parameters that you need to assure is the security of your company’s data. Having control over the access to complete information and tools during the whole process of production is the key to effective cooperation. Make sure you know what data you share at which phase. Since you agree on what your cooperation will look like, you need to prepare requirements referring to the project itself. You need to be very specific at that point to avoid any misunderstanding. Focus on that because doing it properly will pay off by saving time in the future. Your main responsibility there is to set your business requirements: who the product is addressed to, what needs it should meet, what values it should carry, what modules will be charged etc. When you were choosing the company to work with, you paid attention to their experience on similar projects. You wanted to make sure they are the right people to be trusted with developing your product. Don’t forget that! Your startup is not the first one that they support with their experience. They know what the current trends are, which technologies are being used and which are going out the window. Let them choose the technologies to be used to make sure that your product will be possible to develop and that it won’t get old in the immediate future. Don’t forget about your own team! Preparing a business model and specific schedule of activities is not everything. Subsuming your own team under the process of business transformation is just as important – if you already have any team, of course. It is particularly important for the departments which take care of tracking and potential clients. The board of the company should inform the employees about the organizational changes, planned implementations, goals to achieve and the progress that is being made. This strategy will prevent them from being mistrustful of the new contractor and make taking the process over smooth and more effective. You set the outsourcing agreement to make a profit – that’s why you should negotiate the guarantee of satisfaction. When outsourcing any project to be developed by an external company, you need to be sure that the final product will meet your expectations. It should bring some specific values to your users and you should never forget about it. Remember that you sign the product with the name of your company. In case something goes not exactly the way you wanted it to go and the consumers are not fully satisfied with the product, you will be the one to be blamed for their dissatisfaction – and not the outsourcing company. Last, but not least, the thing that I believe to be the most important when getting on a project with an outsourcing company: Don’t forget that the outsourcing company cares about your project as much as you do. This may sound like a fatuous bromide, but by making a good product they earn a satisfied client whose recommendations are worth more than the best advertisement. It’s simply profitable. Keeping these things in mind, you are ready to get on a project with an outsourcing company. One last thing to remember is that outsourcing is not a solution to ignorance. Never outsource anything that you don’t understand! In two weeks, we will debunk some popular myths about outsourcing. Follow us on Twitter and make sure you don’t miss it! How to communicate with an outsourced team effectively? Share the article with your friends! CRO. True specialist of launching new products on the market, master of changing things-to-be-done into thing-that-are-already-done, who has lots of great ideas for start-ups' launch and development.